Customer feedback is worth its weight in gold. A loyal customer has an average LTV (Lifetime Value) of over 10 times that of a dissatisfied one. The value that a happy customer brings to you is multifold, since they conduct repeat sales as well as recommend your ecommerce product to all their friends. Whether it’s getting feedback from clients, or talking 1-on-1 with customers, customer feedback is one of the best sources of quality data. There are many strategies to obtain customer feedback, and the ones described in this blog post are some of the best. While many companies are still confused about how to achieve customer satisfaction, a well developed survey is the first place to start. With the power of social media connecting global customers, there is no scope for a brand to be poor in customer services and value proposition. This makes collecting customer feedback a priority from the get-go and allows ecommerce businesses to track insights from the moment they launch. Businesses that wait for a large number of negative experiences to mount up, often lose the race to those who ensure that they collect timely feedback. Consumer feedback is an invaluable data pool of insights that would have otherwise never been uncovered. It also acts as a catalyst for real change in systems and processes. If many customers complain about the packaging or website usability, you can take that feedback to your vendor and negotiate better packaging materials or enhanced website features. In fact, according to research done by Kolsky (thinkJar), 85% of customer churn due to poor service was preventable. There are many strategies to obtain customer feedback, and it should be an important component of any marketing initiative. In other cases, you can improve upon existing designs, process and product ranges, by looking at what customers have to say about certain product lines. Also 86% of buyers will pay more for better customer service, according to a Walker study focusing on consumer trends. Therefore, not only is customer service key to the success of an organization, it is also a competitive difference maker. A company that’s superb in customer feedback and service is Zappos. They hold a world record for conducting a 13hour long customer-care phone call and their customers are some of the most loyal ones in the ecommerce business. They’ve mastered how to get client feedback and ensure that its applicable across all lines of business. This is why CEO Tony Hsieh could sell the company to Amazon for $1.2B to expand customer service staffing and the customer base. Zappos customers didn’t mind paying premium for quality goods, as they knew that they were being taken care of by Zappos’ staff. American Express realized that 58% of consumers are willing to spend more with companies that provide excellent customer service. This is what makes customer feedback so important in the ecommerce space. The challenge when it comes to consumer feedback, is when there isn’t enough bandwidth to hear them all out. This is why you need to hire experts who can mine that data for you. In fact, Zendesk did some research on the massive data base that they collect, and found that over 40% of customers whose negative feedback went unheard, switched over to a competitor in the same category. You need to have a predefined goal when it comes to collecting feedback from your customers. It could be focused on increasing conversions, understanding why cart abandonment issues occur, or related to international payments. Whatever the case might be you should always start with a goal and determine “why” you need to get customer feedback. This is one of the best strategies to obtain customer feedback and has been utilized by some of the most successful ecommerce platforms in the world. Sometimes it helps to just have a widget on your website that can collect consumer feedback anytime, but often customers will call you to air their grievances. Form a structured goal and create a consumer feedback approach that fulfils that end goal. For example, if you want to know why a certain product color isn’t very popular, you can form your 4-6 questions around product features and customer preferences including their likes and dislikes. Creating the questionnaire around their feedback becomes key but tailoring it to the goal that you have is a long-term strategy that you can implement. Much like any communications message or advertisement, you want to tailor your questions and target a specific audience. Otherwise the feedback will be all over the place, and customers don’t like giving out their information generally. There are many strategies to obtain customer feedback, some of which include surveys, quality analysis and on-site testing. You can start with segmenting your audience on the basis of what they purchase and when they purchase. You can also get a great idea of their past purchases and tailor the questions to these past purchases as well. Companies like Amazon and eBay will send out emails to target their audience base and collect feedback about their products from time to time. Sometimes they target new customers for quality issues and older ones for delivery-time and payments issues. Targeting a specific audience ensures that you know who you are speaking to, before trying to ask them questions. Its another one of the best strategies to obtain customer feedback. You can tailor your questions and ensure that you’re receiving the most relevant feedback from the right people. You can easily target a specific set of customers within your existing CRM or by using Wufoo (Survey Monkey), Metrilo, or HelpScout, to gain a better idea of who it is that you’re reaching out to. You can answer questions like how to measure customer satisfaction, by installing these plugins on your ecommerce site. Questions like these don’t get you anywhere. In fact, you might be turning off many respondents who may get tired of answering these non-targeted questions. You can start with customer satisfaction surveys that can be filled out via a widget or an online tool but remember to keep it short and simple! Once you know who your target audience is (for your survey), you need to ask them relevant questions about their preferences or purchases. What attribute about product A made you click on “buy now”? If given an option, would you have upgraded for a premium model for $10 more? It’s questions like these that are fun to answer, and that make the customer feel connected to the brand even more. A great way to ensure that your customers respond to these surveys and provide quality feedback, is to provide them with a one-time incentive that’s exclusive to them. Customer service feedback and satisfaction surveys perform best when incentivized with a prize or an add-on. You need to ensure that the incentive is something that’s related to their purchase history, and something that they truly will like. For instance, a cookbook triggered for a person who purchased cooking utensils, or a free maintenance & repair guide for a purchase of motor oil via your site. Making sure that you offer your customers something in return is a good way of ensuring that they share their honest opinions about your ecommerce product. By giving them something for free, you can ensure that they complete the survey and provide relevant answers to your questions. The question of how to achieve customer satisfaction becomes increasingly important through this process. The problem when it comes to open-ended and non-incentivized surveys is that less than 5% of disgruntled customers will participate. If a customer isn’t happy, then he or she will simply walk away. There is no incentive for them to complete the full survey, especially if your brand is weak or you don’t offer local payment options. In our recent blog piece titled ‘Ecommerce Review: Why You Should Listen to Your Customer’s Opinion’ we go over the many advantages of listening to your customers, chief among them being reduced attrition/churn. What most ecommerce companies forget, is to capture information across the lifecycle of the customer journey. They sometimes only collect feedback at the end of the transaction or fail to connect with consumers until years after they’ve made their last purchase. It’s important to have a strategic approach when it comes to collecting consumer feedback, and it starts with setting the right points in the consumer lifecycle journey. You need to know when to target the customer to collect feedback, whether it’s right after they receive the product or a month after they’ve used it. Customer feedback in the ecommerce space depends heavily on the timeliness of input. This information can be fed back to product innovation experts who can drive insights that help in changing the website or the product. 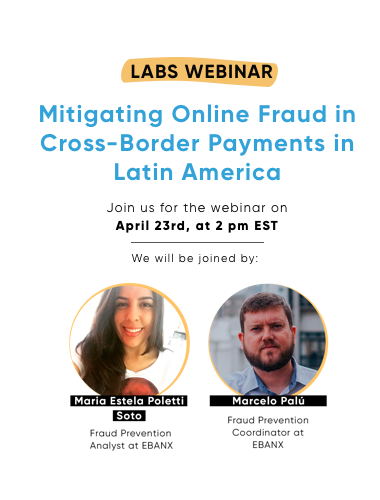 Sometimes the issue could be as small as the demand by consumers to have access to local payment methods for Latin American countries, and it could go hidden for months before somebody takes a customer survey. Therefore, it’s important to get data points from customers across various geographies and at different times in their lifecycle. Its time to reach new customers.